Windsor Castle Sept 13th 1779. 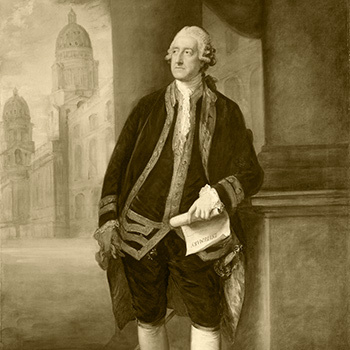 Lord Sandwich has I suppose pretty near heard the same account of the West India Islands from V. Adm. Barrington as he made to me on friday, therefore cannot be surprised it did not edify me, and I am sorry to add that he has not been cautious in concealing his Sentiments on that subject, so that it is now well known that He is of opinion that every one of the Possessions in that material part of the World if attacked by either France or Spain must inevitably fall. Though I think him a very gallant Officer, I cannot say this is a mark of much Public Virtue, which ought to prevent dispondency and to stimulate when difficulties arise an encrease of allacrity and activity as the sole means of producing a better posture of Affairs. 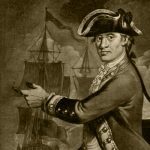 No one is more convinced than myself of the unexpected magnitude of the Naval force now collected by the United House of Bourbon, but dejection is not the means of lessening it. 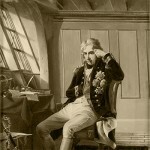 While that strength is kept entire at Brest or parades in the Channel it will not be wise to be making great detachments from the Squadron under the Command of Sir Charles Hardy, which must [illegible] open beyond Scilly, the Blenheim, Arrogant, and St Albans which are in too weak situations to weather a Storm, but when the Spaniards return home a Squadron of Sufficient force to Secure the taking the Ships that blockade Gibraltar and to relieve that Popular Fortress must be without the loss of an hour detached. The fleet in the West Indies is quite useless unless at least Seven Ships are relieved and Men sent out Sufficient to compleat those that remain ; our Islands must be defended even at the risk of an invasion of this Island, if we lose our Sugar Islands it will be impossible to raise Money to continue the War and then no Peace can be obtained but such a one as He that gave one to Europe in 1763 never can subscribe to. We must be ruined if every idea of Offensive War is to lye dormant untill this Island is thought in a situation to defy attacks, if there is the smallest spark of resolution in the Country it must defend itself at home though not a Ship remained for its defence. If Ministers will take a firm decided part and risk something to Save the Empire I am ready to be the foremost on the Occasion, as my Stake is the deepest; but if nothing but measures of caution are pursued and further Sacrifices are made from a Want of boldness which alone can preserve a state when hard pressed I shall certainly not think myself obliged after a conduct shall have been held so contrary to my opinion, to screen them from the Violence of an enraged Nation. Quelle: King Georg III. to Lord Sandwich, in: Fortescue, J.W. : The Correspondence of King Georg the Third from 1760 to December 1783, London 1927/8, Vol. IV, No. 2773, S. 432ff.